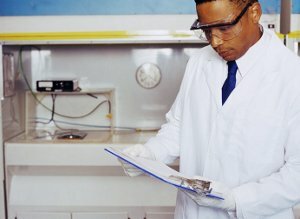 In which fields are scientists working today? What topics are of interest, which are current questions in research? Collaborating with partners from industry, university and research institutes this section presents fields of work at a glance. Like all ChemgaPedia content the topics are arranged as learning units. They contain various interactive and graphic elements, thus showing the diversity of a scientific working environment. Join in and learn from experts! We want to extend this section and are therefore looking for new partners, who want to report about their products and work. If you are interested, please send us a mail to our contact address with the subject "Learning Units Research and Application". In this section of ChemgaPedia scientists from industry provide fascinating insights into their companies' fields of activity. Public facilities of research are an essential part of the research landscape. What are research institutes currently dealing with? Which topics are of interest, which methods and applications are being developed? 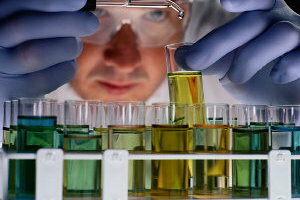 In this ChemgaPedia section we provide an insight into scientists' work beyond industry. Please note that the content is only available in German at the moment. In cooperation with the Cluster of Excellence „Engineering of Advanced Materials” ChemgaPedia presents current research topics in the field of high-performance materials. Take a look at the first demo version, the content area will be completed successively. Please note that the content is only available in German at the moment.